The Regional Modeling System for Aerosols and Deposition (REMSAD) was developed by ICF International/Systems Applications International to support a better understanding of the distributions, sources, and removal processes relevant to regional haze, particulate matter and other airborne pollutants, including soluble acidic components and toxics. REMSAD includes the streamlined micro-CB gas-phase chemical mechanism and an efficient transport algorithm that allow continental scale simulations of full calendar years. 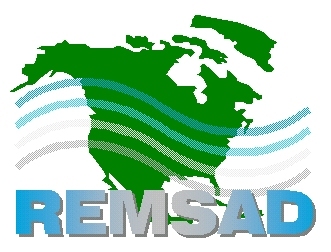 REMSAD provides spatially and temporally resolved air concentrations and (wet and dry) deposition values. Recent improvements to the modeling system include expanded treatment of mercury chemistry, the addition of a detailed secondary organic aerosol (SOA) treatment and improved performance under stagnant meteorological conditions.